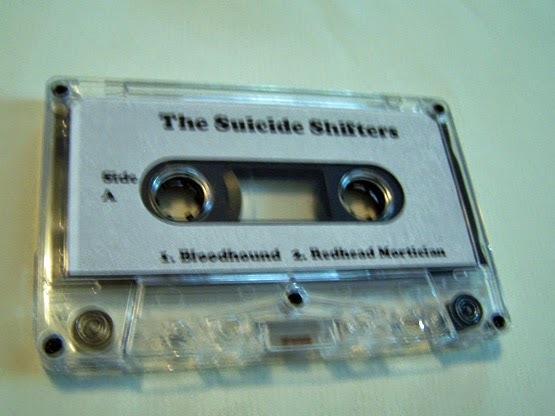 The Suicide Shifters have three songs on this cassette, two on Side A and the last one flies alone on Side B. 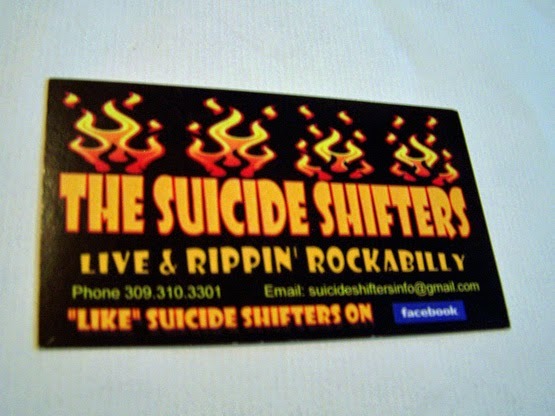 The Suicide Shifters are for all intents on pointing to the nearest place of common knowledge here somewhere along the lines of rockabilly punk. 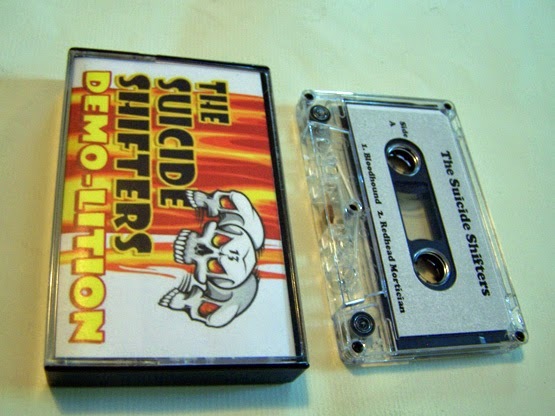 This can be specifically attributed with other known artists such as Stray Cats and Reverend Horton Heat. 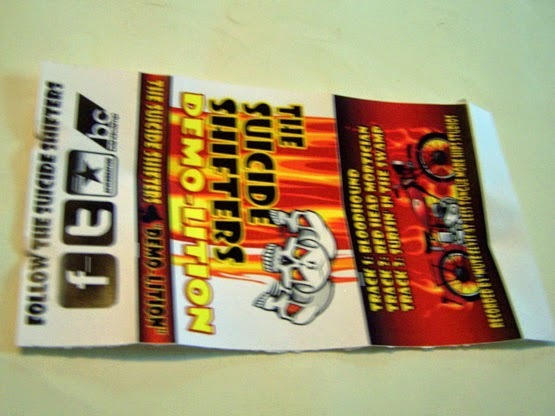 Somehow though, a bit of Social Distortion even comes out in these songs. The lyrics have sexual undertones and the second song itself actually could pass for that rock n roll style of someone between the likes of Elvis Presley and Little Richard. The third song is instrumental, but the guitar work- which is just stellar throughout all of these songs- makes me feel as if we’re being taken on some sort of story and I’d love to see a video for this particular song, along the lines of a short film. 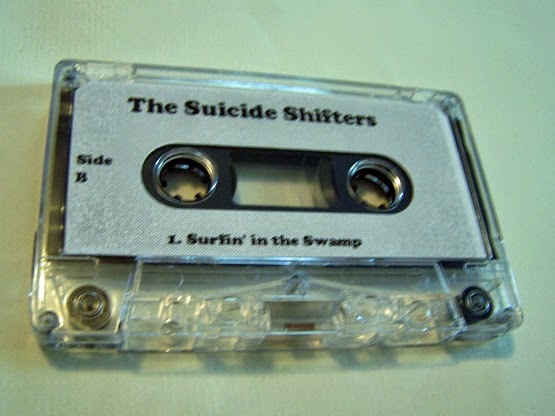 Though this is only three songs, they are three most excellent songs and I would be more than willing to get behind a full length album from The Suicide Shifters. 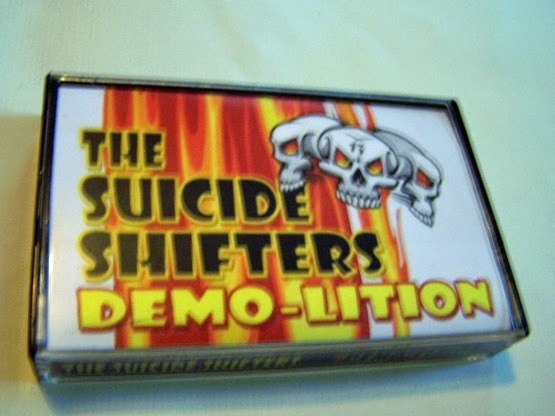 Buy this cassette now so you can say you heard of them back when.